Fight against the Winter Solider with this Classic Captain America Winter Solider retro costume for a boy. This gorgeous costume includes a Captain America blue, red and white jumpsuit, with a white star on the chest, and a blue fabric mask with an A on the front. Upload your photos to Instagram with the hashtag #funidelia followed by #funidelia12264. 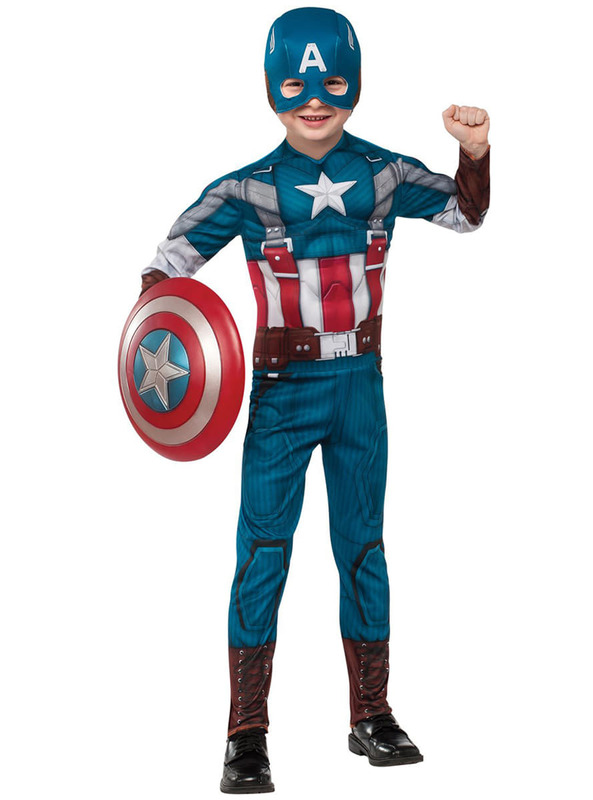 Product Rating: "Captain America Winter Soldier retro costume for a boy"